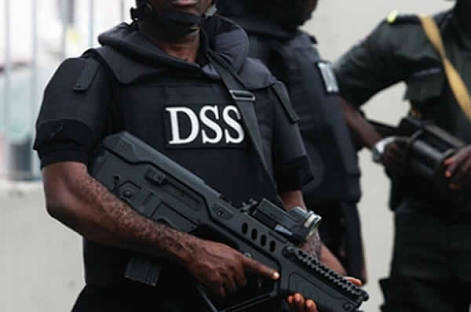 The Department of State Services (DSS) on Thursday said it has arrested two Islamic State in West Africa (ISWA) commanders in Kukuntu village, Gwgwalada, Abuja. 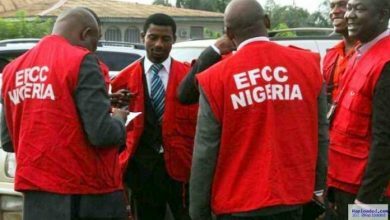 According to statement by an operative of the service, Mr Tony Opuiyo, identified the suspects as Bashiru Adams and Rufai Sajo. Thw statement added that the suspects were arrested on May 5, after special operations on identified targets. 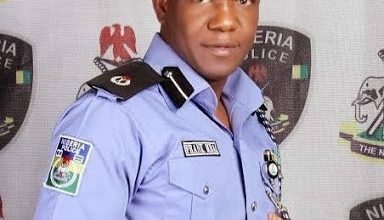 He said that in a related operation on April 28, the service also arrested one Umar Dogo, a suspected member of ISWA at Muda Lawal market in Bauchi. Opuiyo said the suspects were discovered to have concluded plans to perpetuate the ideals of the group in the area, and in collaboration with Boko Haram, carry out heinous violent attacks on innocent persons. The operative also said that following intelligence reports, two experts in Improvised Explosive Devices (IEDs), Adamu Hassan, aka Bale and Abubakr Abubakar aka Alhaji or Buba, were arrested. He said that two other members of Boko Haram, Mohammed Saleh, aka Azrak and Iliyasu Abubakar, aka Ruwa, were also arrested on April 12 and 19 at Gassol and Ardo Local Government Areas of Taraba. Opuiyo said in furtherance of the service`s operation, two members of the dreaded Basalube kidnap group, Usman, aka Siddi and Ibrahim Muhammed, aka Ganaja, were arrested on June 17 at Karu village in Abuja. 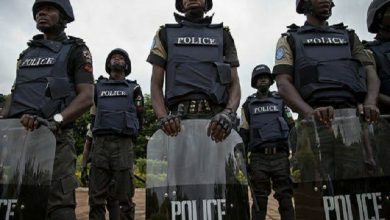 He said that during one of the operations, one of the group`s notorious members, Tambaya Umar, was arrested on April 24 at Odigie village, Ovia North East Local Government Area of Edo. 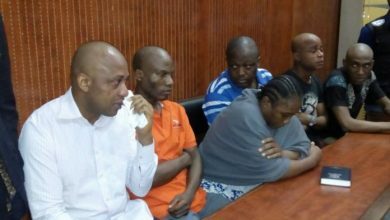 Opuiyo said that Umar was arrested alongside Ibrahim Ali, Abubakar Mohammed, Aliyu Manu and Umar Mohammed for their complicity in the group’s numerous criminal acts. He said that on March 27, the service also arrested five members of a kidnap syndicate at Calabar. The suspects are Simeon Paul, Emmanuel Etim, Eric Out, Famous Oleke and Felix Eshet. He said that items recovered from them include one AK-47 Rifle, three empty AK-47 Magazines, 38 rounds of live ammunition, two live rounds of 9mm ammunition, one Mossberg pump action rifle and 15 live cartridges of ammunition. Opuiyo added that between May 9 and 29, several associates of the dreaded kidnapper, Terwase Akwasa, aka Ghana were also arrested at various locations in Benue State. He said that the during the operation, three suspects, Ada James, Tikaa Desmond and Joseph Ikpa were arrested with a Toyota Venza Sport Utility Vehicle (SUV). He said that items recovered from them include two AK-47 Rifles, one G3 rifle, three Dane guns, two cutlasses and four motorcycles. The operative said that the service also arrested suspects in connection with kidnapping and cultism across Nasarawa, Edo, Delta, Osun, Lagos, Kogi and Ondo states. Opuiyo said that with the arrests, calm would return to the otherwise volatile areas where the criminals had held sway. “ The Service is, therefore, poised to consolidate on these successes and bring about an atmosphere in which law abiding citizens will pursue their legitimate businesses,“ he said. He called on members of the public who have useful security information not to hesitate to volunteer same to the appropriate security agencies and formations.